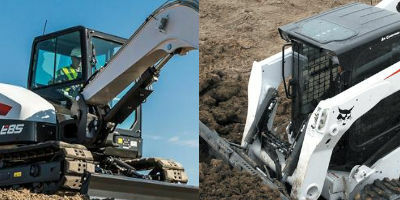 Rent Rite prides itself on the ability to typically deliver construction equipment to your job site within one hour. We appreciate any advanced notice our customers can give, but we realize that flexibility is key to saving you time and money. Our delivery area includes all of the Greater Chicagoland area. Our typical radius from Elk Grove Village is 60 miles. If you require equipment beyond our standard delivery area, please call our office for additional assistance. Delivery Rates are based on location. Click here for a printable list of delivery charges. Available 24 Hours A Day - Seven Days a Week. There are additional fees for after-hours deliveries. Typical fees are standard delivery rates multiplied by three. When calling our offices (847-640-8860) after business hours, simply follow the messaging system prompts for "Emergencies" to get mobile numbers of our on-call staff members.